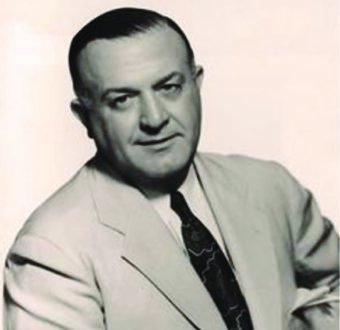 Ferde Grofé was among the first in a long list of modern American orchestral composers who chose to exploit their talents primarily in the field of “popular” music, rather than “classical” music. Born in Brooklyn, he studied in Leipzig, then returned to America as a violist for the Los Angeles Symphony Orchestra. The turning point in his career came when Paul Whiteman lured him into pop music, hiring him in 1920 as arranger and occasional pianist for his band. Grofé’s arrangements were partly responsible for Whiteman’s pre-eminence in “symphonic jazz”, the forerunner of the “big band” movement which dominated American popular music in the 30’s and 40’s. It was here that Grofé encountered George Gershwin, who was at that time composer/pianist for Whiteman. Grofé’s masterpiece in this “popular symphonic” idiom might be his orchestration of Gershwin’s Rhapsody in Blue (some feel that the orchestral color of the Rhapsody is as much responsible for its success as Gershwin’s inventive rhythmic and melodic inspirations). But if not the Gershwin orchestration, Grofé’s greatest success surely was the Grand Canyon Suite. Grofé published about two dozen orchestral works, mostly in the 30’s, all of which fused elements of jazz or pop styles with the rhythmic and formal complexity of symphonic music. The Grand Canyon Suite is the only one to have made it into the standard concerto repertoire of American symphony orchestras.